A couple of neat web based fishing resources that I’d like to share. The first one is from the Ontario Ministry of Natural Resources and Forestry web site called Fish ON-Line. 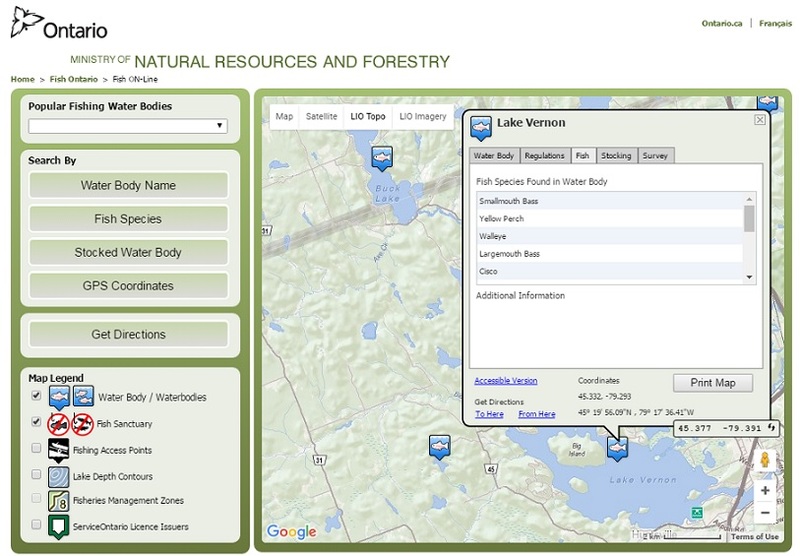 It provides a searchable map of lakes in Ontario and lists such data as lake size and depth, fish species present, stocking data and regulations. Very handy for when you are heading to a new fishing area. The second web fishing resource that may be useful for you is a huge listing of web cams from around all of the Great Lakes from Lakeart – Great Lakes Art by Chris Wilson. These cams look out onto the water, beaches and boat launches around the Great Lakes. Handy if you want to see current conditions and to check on how busy the various boat launches are.